Jesus’ teaching in this parable of amazing grace is emdded in all of the versions of Victor Hugo’s great novel Les Miserables, Jean Valjean being the recipient of it, and Inspector Javert finding it impossible to believe. For a humorous example of a union member unable to accept the parable, see the scene in Matewan, wherein the young lay preacher Daniel contradicts it, saying Jesus didn’t know about labor relations. Ed McNulty, Visual Parables. "Fairness Vs Justice," D. Mark Davis, Lef t Behind and Loving It, 2017. Preaching Helps (Pentecost +15). Rev. Dawn Chesser, United Methodist Church General Board of Discipleship, 2017. "Tensions in the Wilderness," Kathryn Matthews Huey, Sermon Seeds, SAMUEL, UCC, 2017. Evangelectionary, R. Wayne Calhoun, Evangelism Connections, 2014. Girardian Reflections on the Lectionary, Proper 20, by Paul Nuechterlein & Friends. Jesus Now, Proper (Ordinary) 25A, lectionary, study and worship resources from Faith Futures Jesus Then & Now. Rumors, for September 21, 2008, Ralph Milton, "Sermon helps for preachers with a sense of humor." Sermon Brainwave, Lectionary podcast featuring Profs. Karoline Lewis, Rolf Jacobson and Matt Skinner, discussing the week's passages in light of current events. At Luther Seminary's WorkingPreacher.org. 2017. "Imagining Economic Justice," Thomas Long, ON Scripture, 2017. "A Beatitutde Kind of World," Karoline Lewis, Dear Working Preacher, 2017. "A Troubling Generosity," Debie Thomas, Journey with Jesus, 2017. "The Howling over DACA and the Generosity of God," Nancy Rockwell, The Bite in the Apple, 2017. Living by the Word, Chris Dorsey, The Christian Century, 2017. "The Walk of Privilege," Jay Butler, Modern Metanoia, 2017. "The Politics of Unearned Grace," Fritz Wendt, Political Theology Today, 2017. "Vineyard Work," Lynn Miller, Art & Faith Matters, celebrating our creative and living God by generating art and architecture resources for congregations and individuals. Art and Faith Matters facebook page contains additional resources. "It's Not What You Think, Peter," Andrew Prior,One Man's Web, 2017. "When Is Enough Really Enough?" commentary and discussion, RevGalBlogPals, 2014. "Blessing Those Who Have Cursed Us," Eric D. Barreto, ON Scripture, Odyssey Networks, 2014. Video: Habitat for Humanity and the Theology of the Hammer. "Generosity Sightings," Karoline Lewis, Dear Working Preacher, 2014. "Love or Justice?" David Lose, In the Meantime, 2014. "On Having More Than Enough," John C. Holbert, Opening the Old Testament, 2014. "Smile, Though Your Heart Is Aching," Alyce M. McKenzie, Edgy Exegesis, 2014. Sermon-Stories.com, Jane Anne Ferguson, 2014. "The Kingdom of Heaven Should Be Like This Guy," Stan Duncan, "If You Lived Here, You'd Be Home By Now," 2014. "Eleventh Hour Laborers," Suzanne Guthrie, 2014. "It's Not Fair!" Christopher Burkett, PreacherRhetorica, 2014. "Manna from Heaven," Lynn Miller, Art & Faith Matters, celebrating our creative and living God by generating art and architecture resources for congregations and individuals. Art and Faith Matters facebook page contains additional resources. "All of Grace," Andrew King, A Poetic Kind of Place, 2014. "The Quality of Mercy," Stephen Fowl, Ekklesia Project, 2014. "The Generous Landowner," Peter Lockhart, A Different Heresy, 2014. "The Problem with Generosity," Sharron R. Blezard, Stewardship of Life, ELCA, 2014. "The Rhetoric of Excess in the Parable of the Workers," Dan Clendenin, Journey with Jesus, 2014 .2011. Lectionary Ruminations, John Edward Harris, Summmit to Shore, 2014. "Divine Generosity," Bob Cornwall, Ponderings on a Faith Journey, 2014. "On Night Crawlers and God's Vineyard," Janet H. Hunt, Dancing with the Word, 2014. Economy and Grace, Thomas Beam, 2014. "At the Complaint Counter," Steve Goodier, Life Support System, 2014. "That's Not Fair!" David Lose, Dear Working Preacher, 2011. "Mixed Messages," Linda Fabian Pepe, Theological Stew, 2011. Sheer Grace, Alyce M. McKenzie, Edgy Exegesis, Patheos, 2011. Sermon Notes for September 18, Michael Rich, In-Formatio, 2011. "The Chase," Neil Chappell, a weird thing, 2011. Lectionary Ruminations, John Edward Harris, Summit to Shore, 2011. Grounded and Rooted in Love, Matt and Laura Norvell, 2011. "It's Not Fair! God's Grace and Human Nature," Sharron R. Blezard, Stewardship of Life, ELCA, 2011. Lectionary Blogging, September 18, 2011, John Petty, Progressive Involvement, 2011. "Walking in circles," Melissa Bane Sevier, Contemplative Viewfinder, 2011. "It Ain't Fair," Miriam's Tambourine, Memphis Theological Seminary, 2011. "Embracing the Wilderness Experience," Sandra Jebb, Reflections on Faith and Spirituality, 2011. 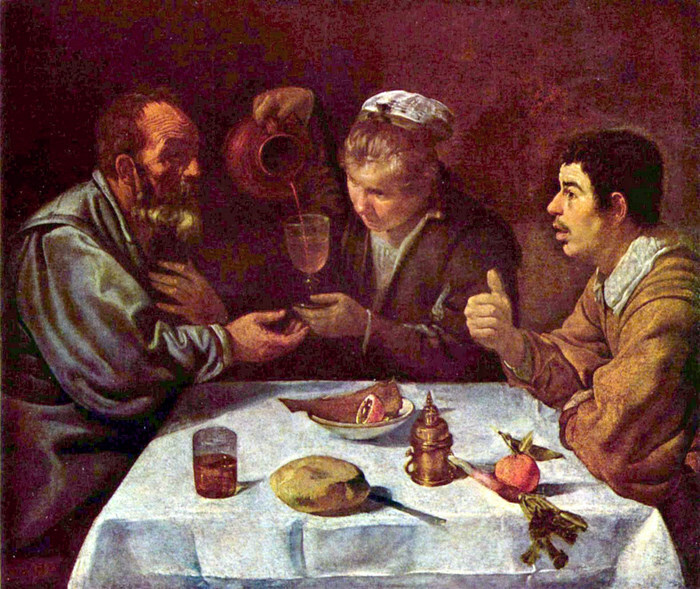 Dylan's Lectionary Blog, Proper 19. Biblical Scholar Sarah Dylan Breuer looks at readings for the coming Sunday in the lectionary of the Episcopal Church, 2005. Dylan's Lectionary Blog, Proper 20. Biblical Scholar Sarah Dylan Breuer looks at readings for the coming Sunday in the lectionary of the Episcopal Church, 2005. "Is There No Justice?" by Jim Somerville. A Sermon for Every Sunday. Video sermons from America’s best preachers for every Sunday of the Liturgical Year. "A Wilderness People in the Promised Land," The Rev. Dr. Dwight Andrews, Day 1, 2014. "An Undeserved Gift," the Rev. Ken Kesselus, Sermons that Work, Episcopal Digital Network, 2014. Propio 20 (A) – 2014 por Rvdo. Abel E. Lopez, Sermones que Iluminan, Episcopal Digital Network, 2014. "Parable," Frederick Buechner Sermon Illustrations. "Small and White, Clean and Bright," the Rev. Dr. James. C. Howell, Day 1, 2011. "The Generosity of God," the Rev. Dr. Michael Foss, Day 1, 2008. "Tensions in the Wilderness" Weekly Seeds, UCC, 2017. Bible Study, Proper 20A, 2014, Nancy J. Hagner, Sermons that Work, Episcopal Digital Network. Estudio de la Biblia. Propio 20 (A), por Nancy J. Hagner, Sermones que Iluminan, Episcopal Digital Network, 2014. Worship Planning Helps (Pentecost +15): Worship & Preaching Notes, Hymn Suggestions and Worship Resources from the United Methodist Church General Board of Discipleship. "The Reckoning," Liturgy for Peace, Michael Anthony Howard, 2017. Worship resources for Proper 20 based on Matthew 20:1-16 by H. Burnham Kirkland from SermonSuite. Mustard Seeds, "Focus and Purpose/The Generosity of God," Proper 20, 2014. A lectionary-based ideas resource for leaders of contemporary worship, Ann Scull, Gippsland, Australia. Worship Resources, 2014, Rev Mindi, Rev-o-lution. Liturgy for the Celebration of Life, Pentecost 14A/Creation 3. Liturgies from a Progressive/Post-Liberal Theology, Revd Rex A.E. Hunt, The Uniting Church of St James Curtin, ACT, 2011. Lectionary Liturgies, Ordinary 25, Thom M. Shuman, Presbyterian Church (U.S.A.), 2014. Worship and Liturgy Resources, Ordinary 25, by Rev David Beswick, Uniting Church in Australia. Outside the Box: Litanies, poems and prayers written for the local church. Katherine Hawker. Lector's Notes, OT 25, Gregory Warnusz, Saint Jerome Parish, Bellefontaine Neighbors, MO. Notes and commentary for those reading this week's lectionary texts to the congregation. Worship Resources (prayers, etc. ), Proper 20A, John van de Laar, Sacredise. "Liturgy: prayer reflection", (NZBP) reflections on the collect at the Eucharist, Rev. Bosco Peters, New Zealand. BCP TEC USA. 21st Century Worship Resources, Pentecost +15, UMCDiscipleship.org. Offertory Prayers, Pentecost +15, UMCDiscipleship.org. The Timeless Psalms: Psalm 105:1-6, 37-45, Joan Stott, prayers and meditations based on lectionary Psalms, 2017. Prayers of the People, Proper 20A, Fr. Jeremiah Williamson, Praying the Scriptures, 2011. Prayers of the People, Tracks 1 & 2, Lowell Grisham, St. Paul's Episcopal Church, Fayetteville, Arkansas, 2014. Clip Art, Ordinary 25, Fr. Richard Lonsdale, Resources for Catholic Educators. 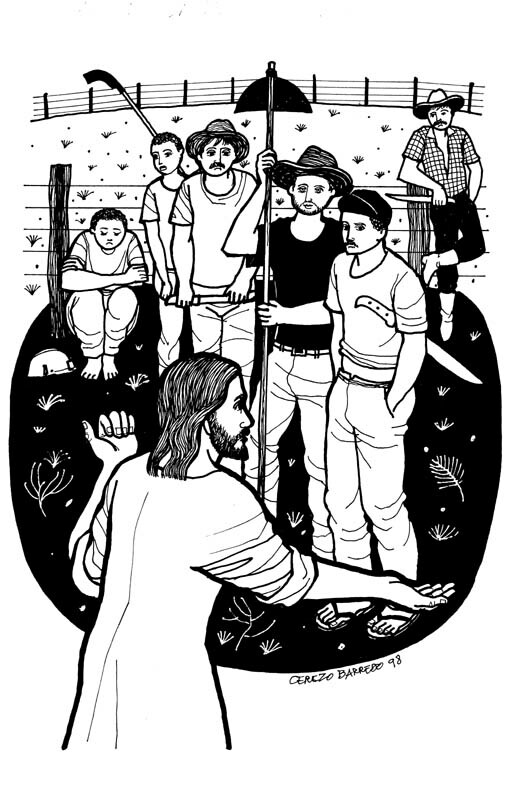 Clip Art Images: Matthew 20:1-16, Misioneros Del Sagrado Corazón en el Perú. Ordinary 25 at Cerezo Barredo's weekly gospel illustration. Follows Latin American Roman Catholic gospel reading, though most gospels texts/themes are found in the index. Liberation emphasis. Sing for Joy, Pentecost 19A, 2008. Choral reflections on this week's lectionary readings, St. Olaf College. "Fake Mustaches," video, John Stevens, Dollar Store Children's Sermons, 2014. "Scandalous Grace," Faith Element, 2014. "The Terrible Sin of the People of Nineveh," a hymn by Carolyn Winfrey Gillette, recalls the story of Jonah. Tune: ASH GROVE 6.6.11.6.6.11 D ("Let All Things Now Living"). “A Man Owned a Vineyard," an original hymn by Carolyn Winfrey Gillette, 2011, a new hymn based on Jesus’ Parable of the Compassionate Employer about grace and justice (Matthew 20:1-16). Tune: TO GOD BE THE GLORY. "Life Is Not Fair," Brenton Prigge, NewHymn. Hymns of the Spirit Three, Proper 20A, Richard E. Hurst, Universalist National Memorial Church. Psalm Settings by Dale A. Schoening, Metrical Psalms: Psalm 105:1-6, 37-45 set to Cleansing Fountain (86 86 D), Psalm 145:1-8 set to Duke Street (LM). Hymn and Song Suggestions, Proper 20A, 2014, annotated suggestions from Natalie Sims, Singing from the Lectionary. Lectionary Hymns, Pentecost +15, UMCDiscipleship.org. Shepherd Sounds, Pentecost +14, Background information for hymns and choral music following the lectionary from the Episcopal Church of the Good Shepherd, Austin, Texas, by Eric Mellenbruch and David Zersen. Weekly Devotion, Faith Formation Journeys, 2017. Lectionary Puzzles, Proper 20. Word search puzzles in RTF or plain text, by Reg McMillan, St.Stephen's Presbyterian Church, Peterborough, Ontario. "Storypath Lectionary Links: Connecting Children's Literature with our Faith Story,"Union Presbyterian Seminary. Dollar Store Children's Sermons, John Stevens, 2017. Faith Formation Journeys, Philippians Children Sermons Series #1, 2011. Faith Formation Journeys, Children's Sermon, Pentecost 14A (Matthew 20:1-16), 2011. "Solving Puzzles: Last? or First?" Proper 20A, Frances Woodruff, On the Chancel Steps.